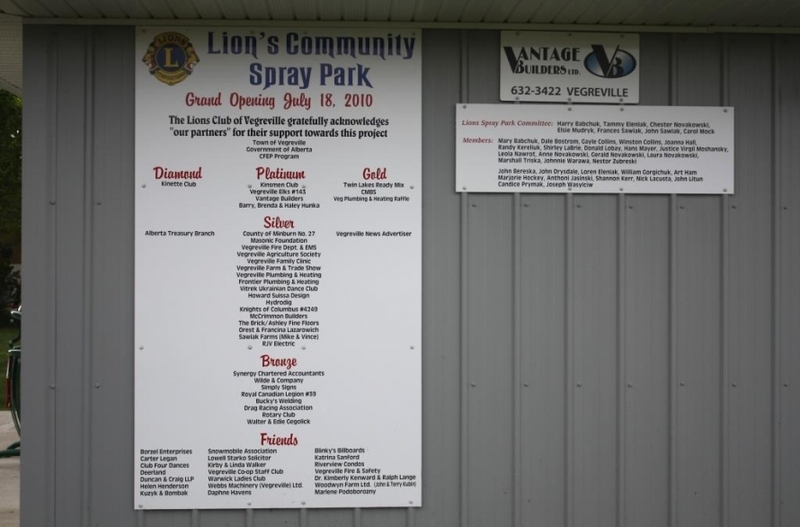 For the past four years we have worked closely with the members of the Vegreville Lion’s Club to make their long sought after dream a reality.  The members of the Club have worked endlessly to raise the funds necessary to make this facility available to the children of our community. It boasts state of the art equipment, a water recycling system and since completing Phase II also has a playground, gazebo, picnic tables, washroom facility and additional benches. Since the grand opening on July 18, 2010 (just over a year after breaking ground) the park has proven to be a great attraction for families to spend time at all year round. Lion’s Club member John Sawiak was beaming while telling us that he seen kids with toboggans at the park in the winter months of the last few years. 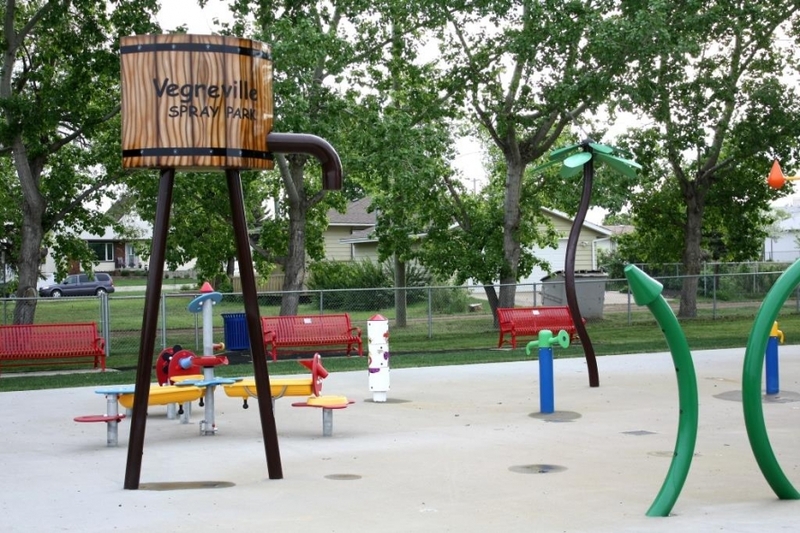 Vantage Builders is proud to have donated $17,000 in Phase I towards making this project a huge success, and a picnic table and bench in Phase II, and will continue to take pride in helping to make such a great outdoor resource for all of the children in our community and all future generations to come. 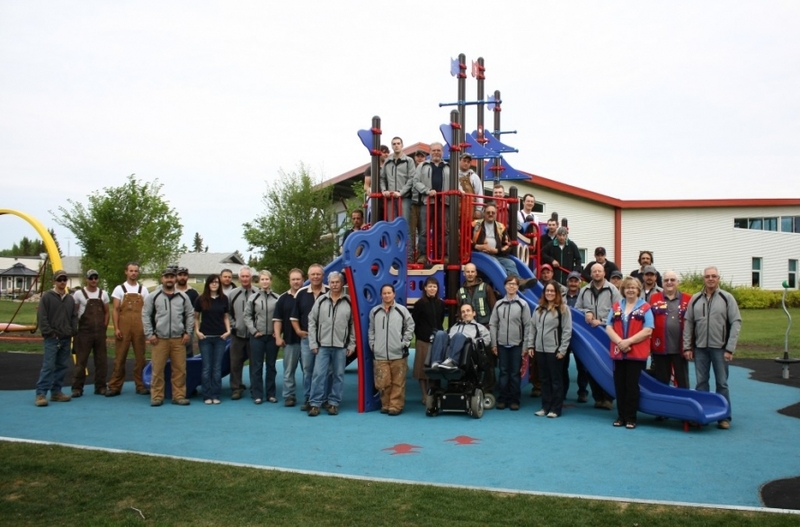 On May 30, 2013 our staff gathered with Lion’s Club members John and Frances Sawiak (Splash Park Committee Chairperson) for a photo at the finished product.